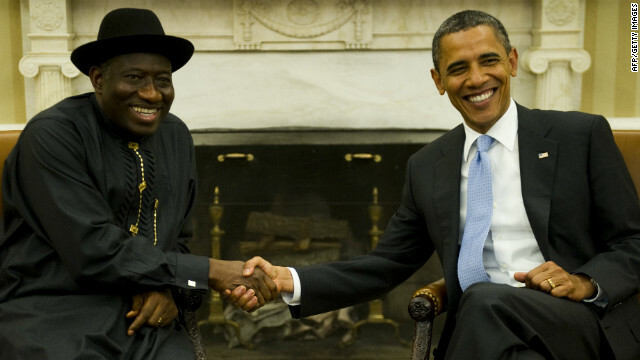 United States President Barack Obama has invited Nigerian President Goodluck Jonathan for talks on issues bordering on terrorists activities in the African continent among others . Disclosing this to State House correspondents in Abuja, United States Under Secretary of State for Political Affairs, Wendy Sherman who is leading a delegation to the US-Nigeria bi-national commission meeting, said all was set for both leaders to meet soon and discuss issues bordering on security, governance, education and agriculture. According to her, while she came to the presidential villa to deliver a letter from Obama to the Nigerian president, Jonathan was “gracious enough to accept the letter, adding that we look forward to working further on the basis of the letter”. She said, “The binational commission is really an invaluable tool for both nations to work together for a strong relationship, especially to support Nigeria as it moves forward to tackle its challenges. Our presidents are likely to meet soon. I will leave that announcement to the President of the United States and the President of Nigeria. “The issues before the bi-national commission range from security to governance, education and agriculture. Nigeria is a very important country, not only here on the continent, but around the world. Nigeria has served on the Security Council of the UN and it is likely to do so again in future. U.S. President Barack Obama shakes hands with Goodluck Jonathan during a bilateral meeting in the Oval Office of the White House June 8, 2011. Femi Fani-Kayode is a member of the ruling Peoples Democratic Party (PDP). Fani-Kayode was the Special Assistant (Public Affairs) to President Olusegun Obasanjo from July 2003 until June 2006. He was appointed the Minister of Culture and Tourism of the Federal Republic of Nigeria from 22 June to 7 November 2006 and as the Minister of Aviation from 7 November 2006 to 29 May 2007.